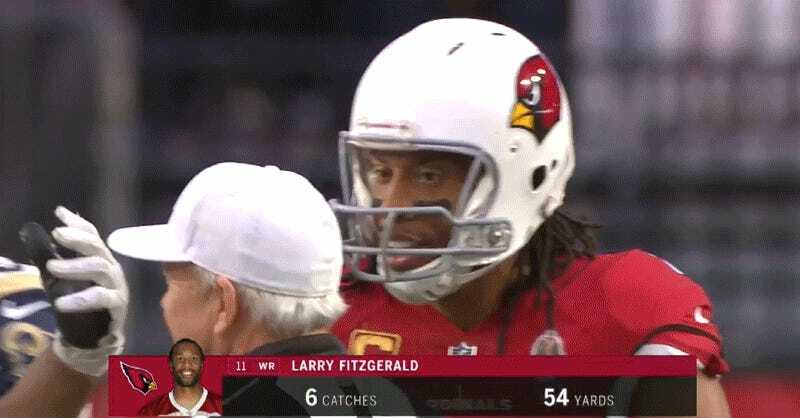 On Sunday, during the Los Angeles Rams’ 31-9 win over the Arizona Cardinals, Rams tackle Ndamukong Suh poked Cardinals wide receiver Larry Fitzgerald in the eyes. Given his reputation as a famously dirty player, most people assumed the worst, with Pro Football Talk calling for him to be fined and at least one riled up writer demanding Suh be suspended for his “sickening” eye poke attempt. Turns out the righteous anger was all for naught.